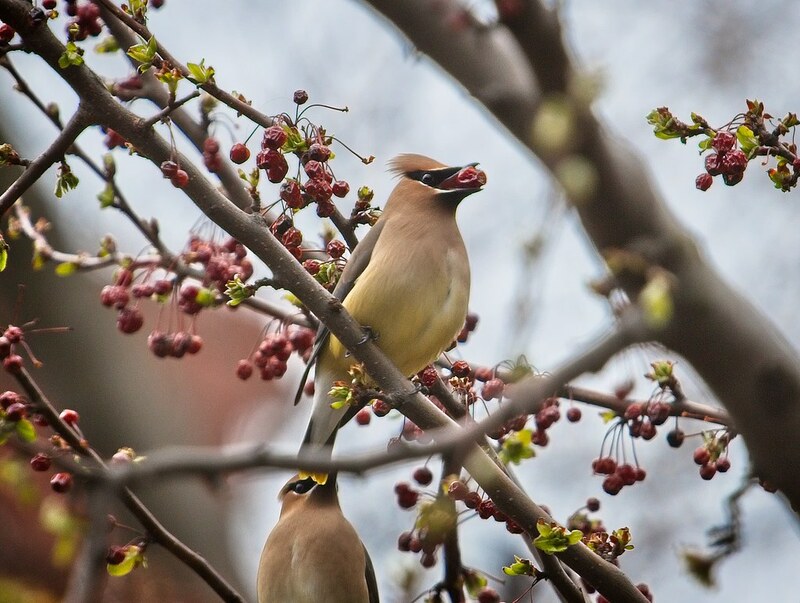 We've had a dreary start to spring this year, but there are a few bright signs that sunnier days are ahead. 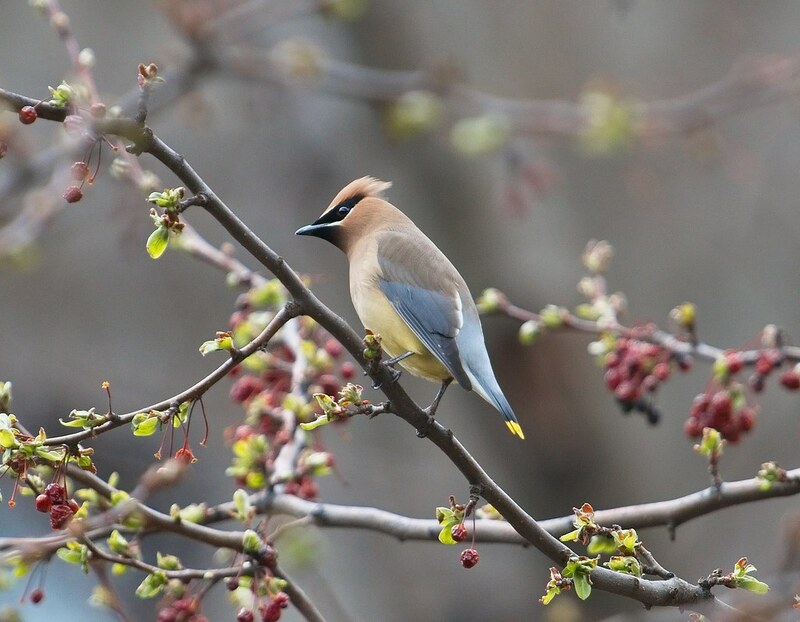 Spring bird migration is underway and a few colorful travelers are passing through the city. 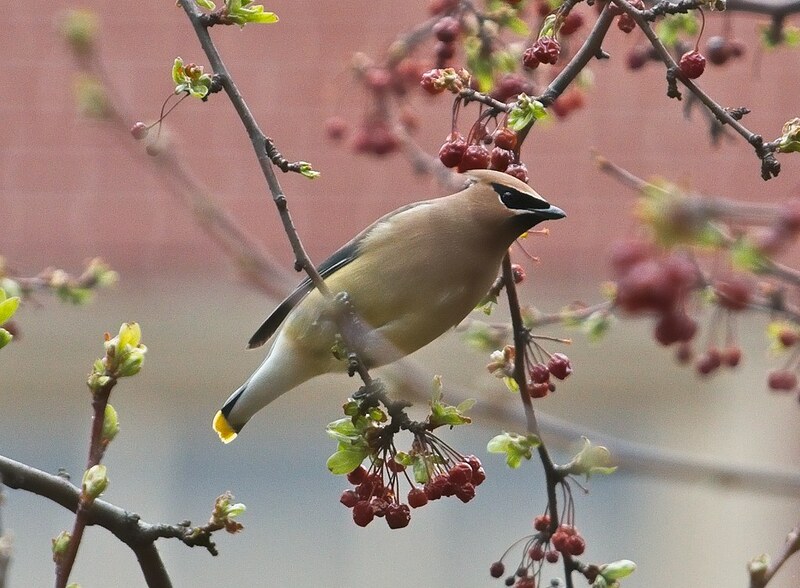 A flock of Cedar Waxwings has been feasting on berries and buds in the 6&B Community garden. They're beautiful and I love their black bandit masks. 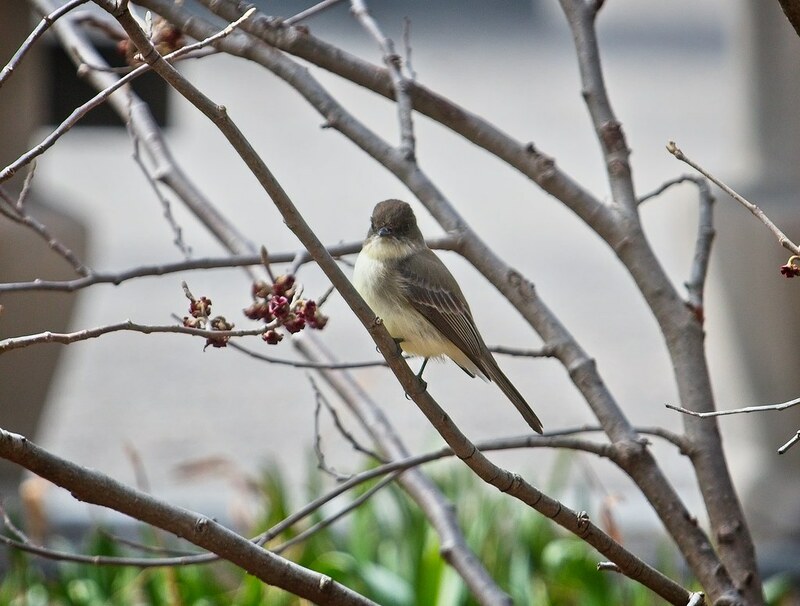 Several Eastern Phoebes have been eating tiny insects in Tompkins and Battery Park. 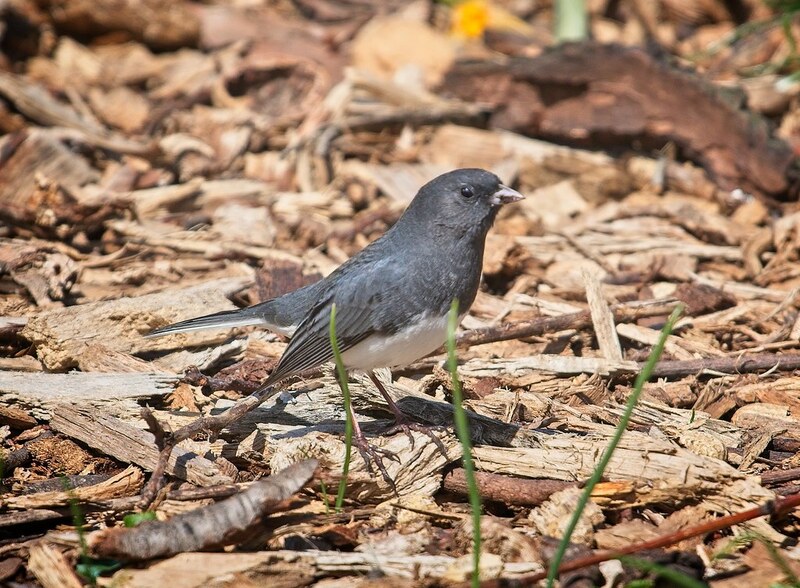 A flock of about twenty Dark-Eyed Juncos have been mingling with robins on the Tompkins Square lawns. The difference in coloring among them is striking. 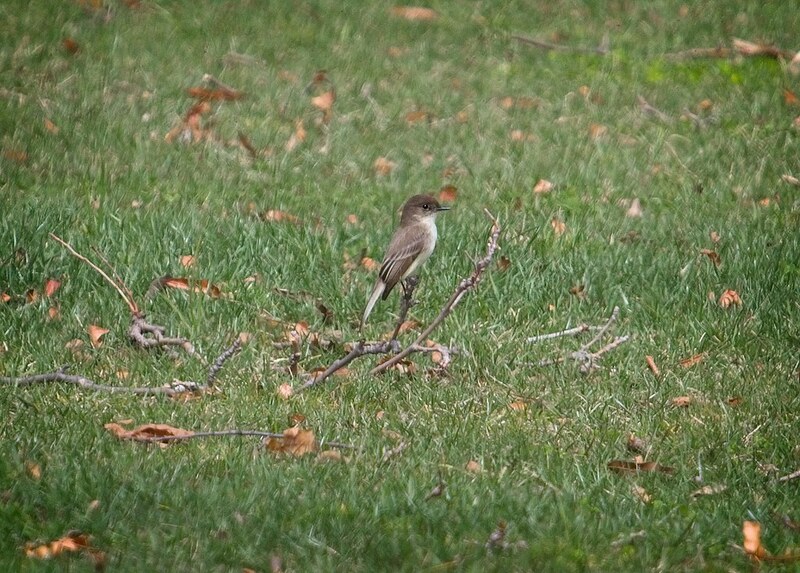 This Pine Warbler was the first warbler sighting this season in Tompkins Square. 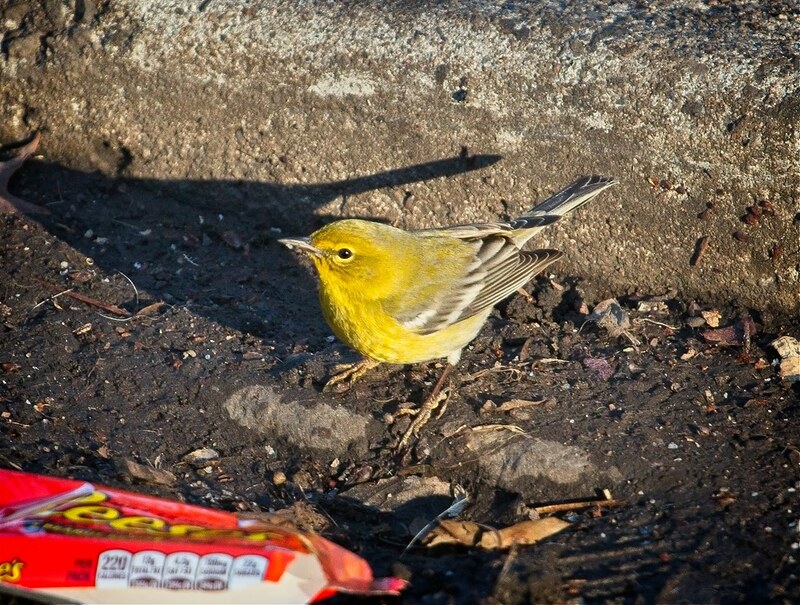 I'm always excited to see a yellow bird. 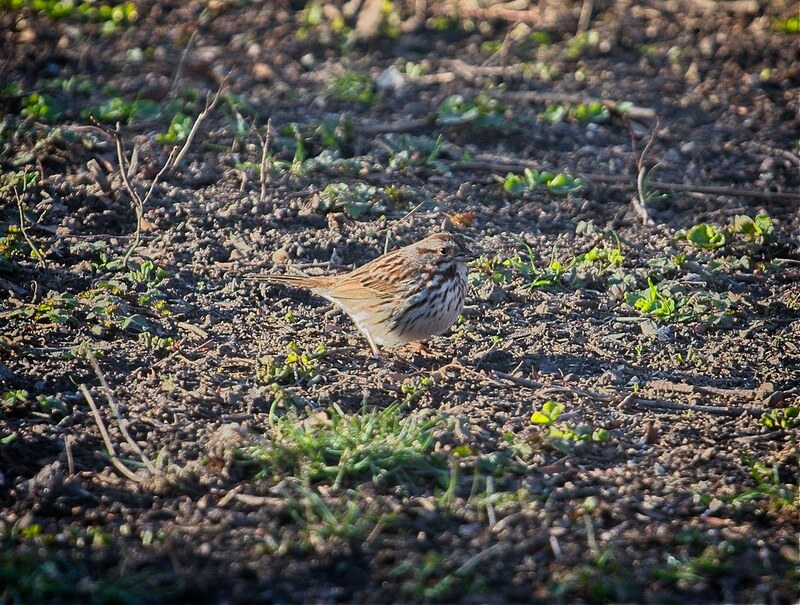 Song Sparrows have been filling the air with music. 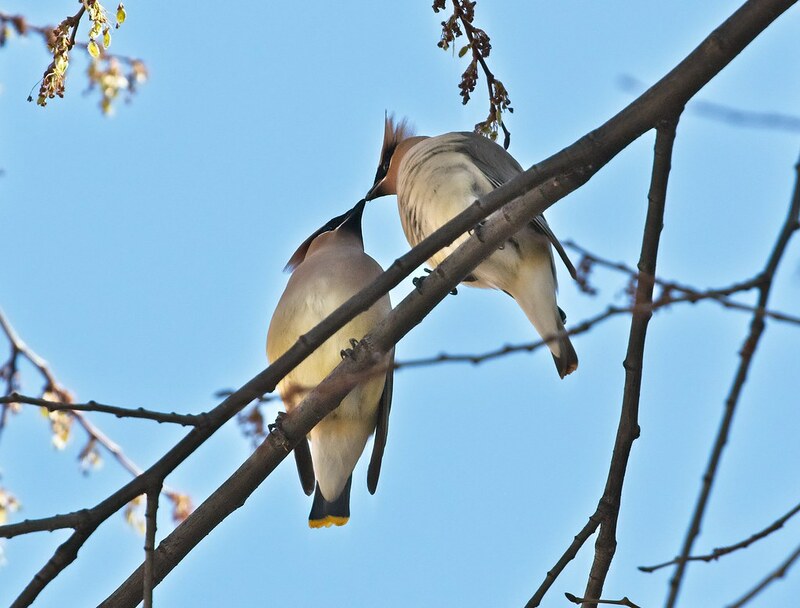 Listen to their calls here. 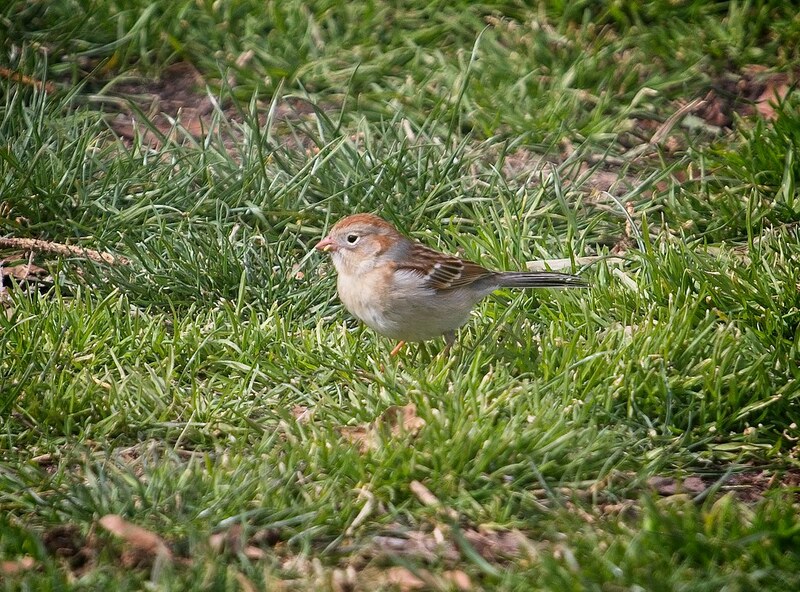 A Field Sparrow was found rooting around in the grass under the Tompkins Square holiday tree. 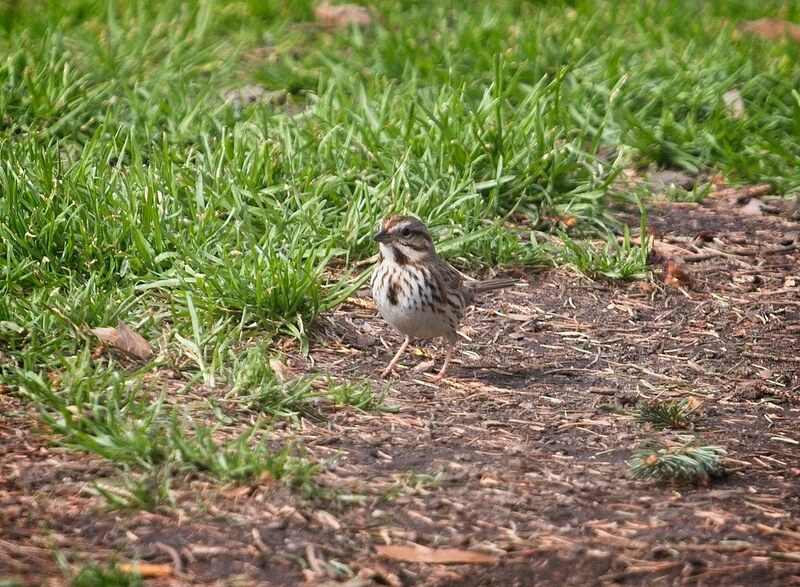 They also have an interesting song that sounds like a bouncing ball. 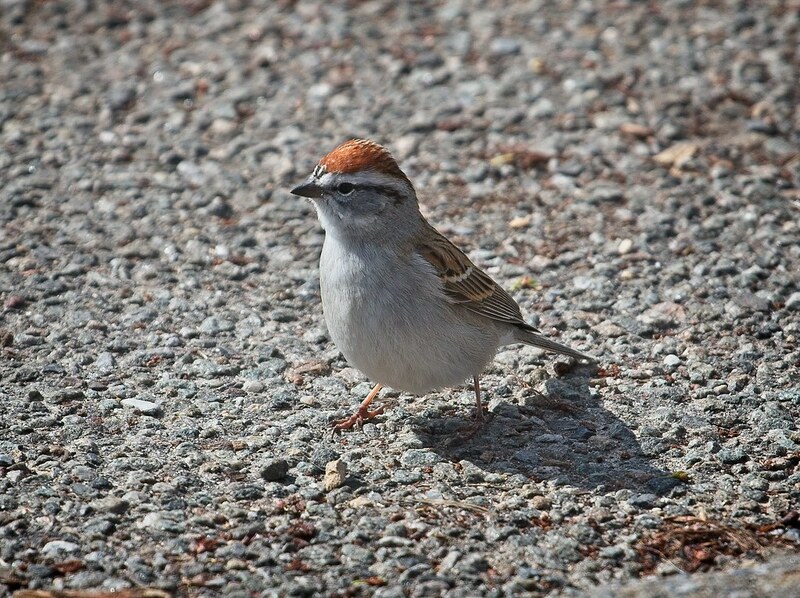 This cute little Chipping Sparrow walked right up to me as though it had something to say. 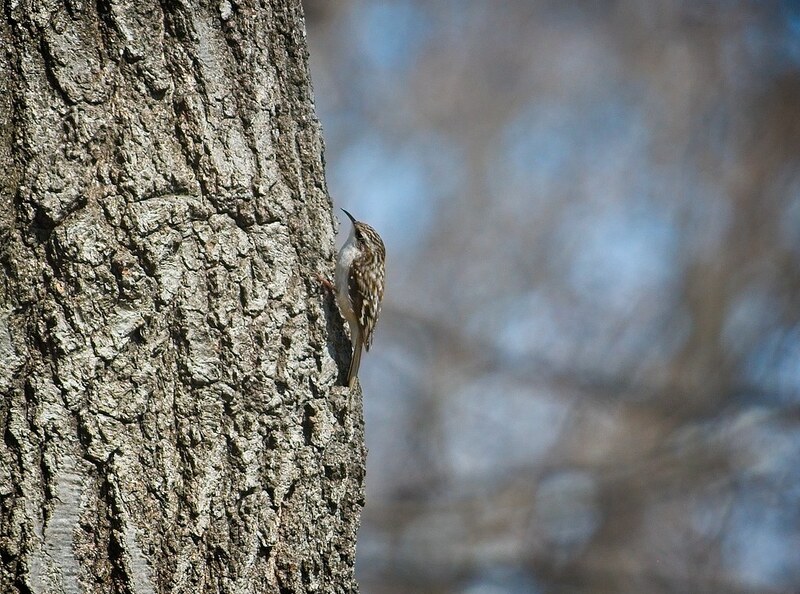 Finally, Brown Creepers can be seen creeping up the trunks of trees in Tompkins. 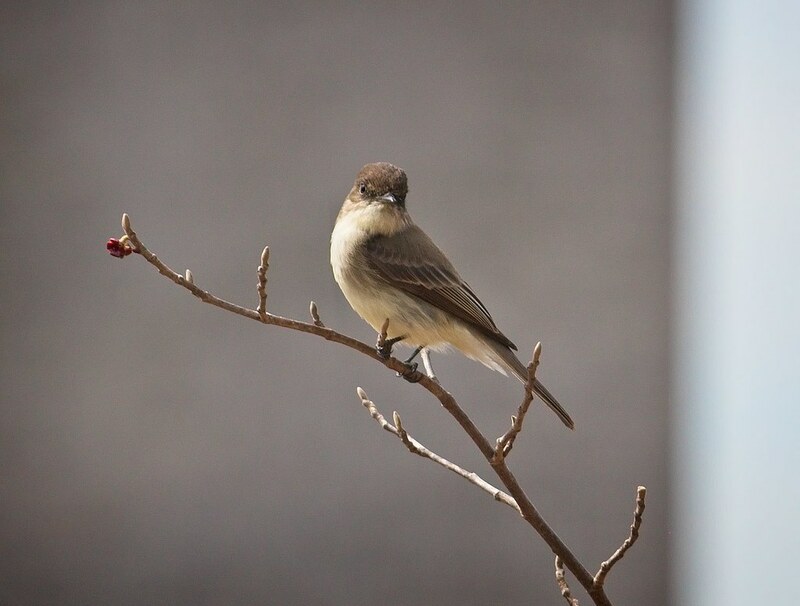 They start at the bottom and work their way up. 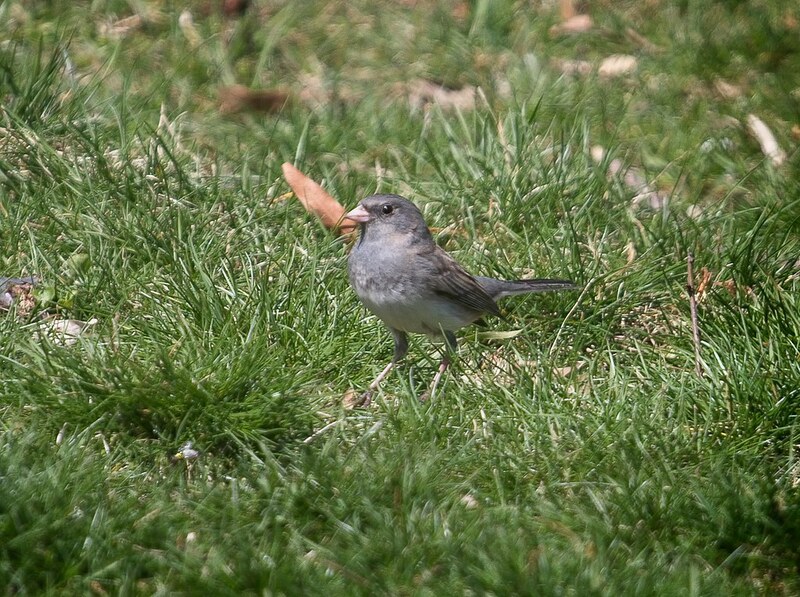 See more of my recent bird photos here.